In addition to use an auto-increment key as the primary key, you may also use UUID columns. CakePHP will create a unique 36 character UUID (Cake\Utility\Text::uuid()) whenever you save a new record using the Table::save() method. 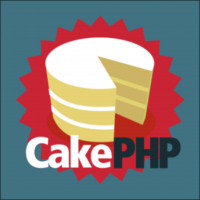 Heres a simple example of using the cache feature of cakephp. We want to grab a webpage contents from the web but we only want to do this once otherwise its going to be slow and waste resources. The basic idea is that we check if the url is saved in cache, if it is then we read it in otherwise we must use curl to grab it. One of the great things about CakePHP is that it has a lot of built in librarys. Heres an example of how to read a remote XML file. Quite simply this is a pain to set right, as it seems to default to the american time zone despite several efforts to configure it to european time in both Cakephp3 and the Php.ini file. Below the field “created” is a date field in a MySQL Database. This wont change the default display of dates but will set the dates to be displayed in the locale you desire. Say for example you dont want normal users being able to see a list of items in this example lets say its questions. But at the same time you want an “admin” user to be able to see them. basically if does a different pagnate depending in the user’s role. It will return the results where the artist field is like eg.”U2″ and where the title is like “U2”. It also has an order clause in there and will contain the related records set “mp3files”.